Furutech, founded in 1988, designs and manufactures an extraordinary range of A/V cables made with extremely high purity OCC single-crystal oxygen-free copper. They have several complete lines of analog and digital, power and coaxial cables available in terminated and bulk quantities. Furutech also manufacture a wide range of highest quality OEM A/V connectors and other signal transfer parts including power, speaker, IEC and specialized Hyper Audio Quality outlet receptacles. All metal components all treated with Furutech’s proprietary 2-Stage Alpha Cryogenic and Ring Demagnetization Process during manufacture that ensures the lowest achievable levels of distortion and noise. 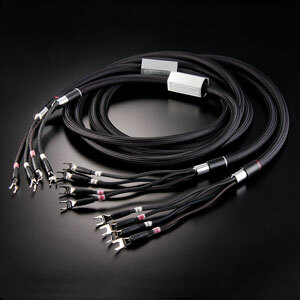 At Furutech, everyone is passionately devoted to reaching the highest watermark in reference-grade A/V cables, OEM parts and accessories for home and car audio where Furutech maintain a very strong presence. Their mission is building the absolute best products imaginable whatever the effort involved and offering them at a price/performance ratio that deeply satisfies every purchaser. Furutech’s Pure Transmission Design Concept improves every element of signal transmission, from the AC to the speaker. Australian HiFi & AV Show 2018 – We’ll be there!